Regulators in the US and Europe are to review Sanofi/Lexicon’s sotagliflozin in type 1 diabetes, a potential blockbuster pill. The French firm is trying to rebuild sales following loss of patent protection on its big-selling insulin, Lantus, and the filings with the FDA and European Medicines Agency are therefore an important development. If approved, sotagliflozin would be used as an addition to insulin therapy to improve blood sugar control in adults with type 1 diabetes mellitus. A dual inhibitor of SGLT-1 and SGLT-2, sotagliflozin has been developed to influence how the intestines and kidneys process blood sugar. Consensus forecasts from EvaluatePharma suggest sotaglifozin could have sales of $1.16 billion by 2022. Sanofi will not see all of that revenue as sotaglifozin was developed in partnership with the US biotech Lexicon. Lexicon got $300 million up front when the collaboration began in 2015, and will receive development, regulatory and sales milestone payments of up to $1.4 billion. It will also receive tiered, escalating double-digit percentage royalties on net sales of sotaglifozin. Sanofi has an exclusive worldwide licence to develop, manufacture and market sotaglifozin, excluding Japan, although Lexicon has taken an option to co-promote the drug in the US. 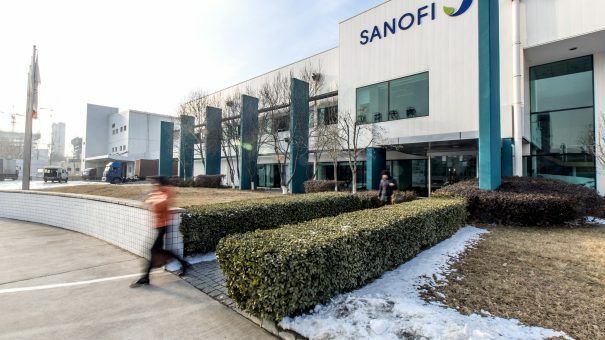 Lexicon took responsibility for clinical development of sotaglifozin in type 1 disease, while Sanofi is to develop and market it in type 2 disease. Lexicon agreed to provide funding of up to $100 million towards development in type 2 disease. The filing is based on data from the inTandem clinical trial programme, which consists of three phase 3 clinical trials assessing the safety and efficacy of sotagliflozin in approximately 3,000 adults with inadequately-controlled type 1 diabetes.